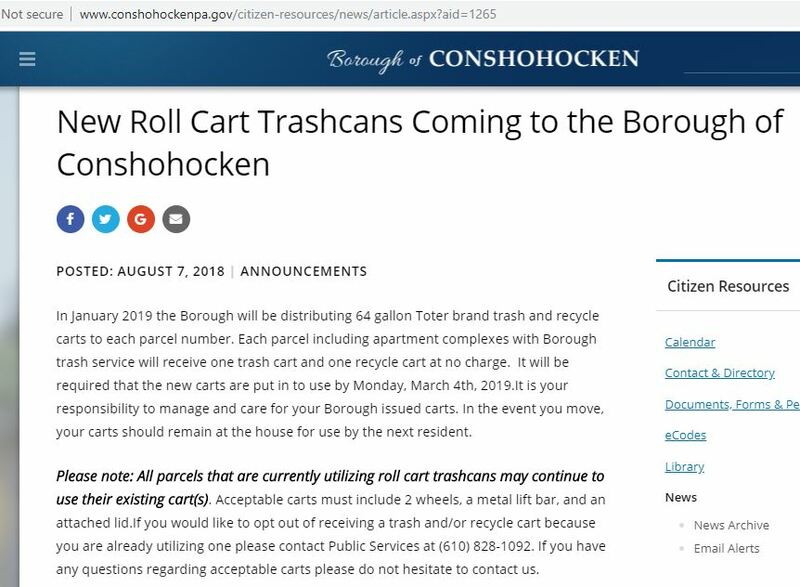 Back in August, MoreThanTheCurve.com reported that the Borough of Conshohocken was purchasing new trash and recycling bins. The reason for this was that the Borough new insurance policy required the Borough to take certain steps to reduce workers compensation claims. One of these involved the workers collecting the trash to not have to manually lift and dump trash and recycling bins into the truck. The new bins would allow for it to be done by an apparatus attached to the truck (which the Borough already owned). 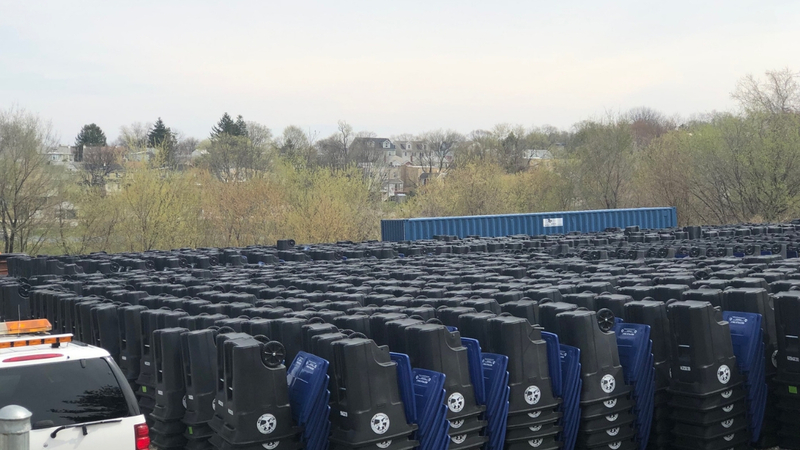 The bins were to be delivered after the new year and the program was to be in operation by March 4th. In January, MoreThanTheCurve.com had a short article showing that the bins had been delivered. Old cans still in use on April 9th. Over the last month, MoreThanTheCurve.com has received several inquiries asking why they haven’t received their bins yet. All we wanted to do is provide the public an answer to a question many seem to have. The Borough is unable (or unwilling) to provide us one. The Borough’s website has not been updated since the original information was released in August of 2018. It still shows delivery to start in January and the program to start on March 4th. Maybe something took priority and they are behind. There would be nothing wrong with that. So we asked and are unable to provide you an answer. After we received another inquiry from the public, we asked again. We were told to just tell people to call the Borough if they had questions about their bins. The number is (610) 828-1092. 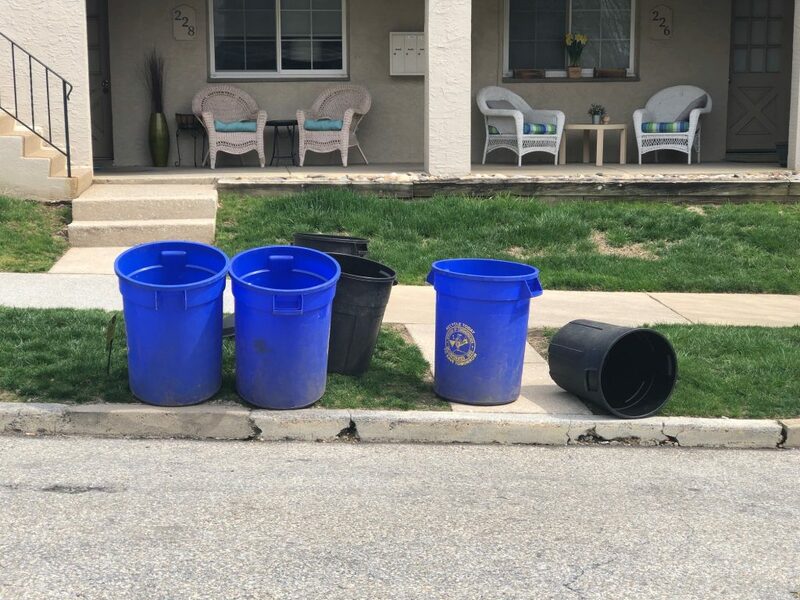 If the Borough of Conshohocken is unwilling to answer a question about the delivery of trash and recycling bins, you really have to wonder what is happening (or not happening) at Borough Hall.